Benjamin Black is the crime fiction pen name of John Banville, who was born in Wexford, in 1945. Beginning with Christine Falls (2006), most of the Benjamin Black novels feature Quirke, an Irish pathologist based in Dublin in the 1950s. "Sometimes, in the middle of the afternoon if I'm feeling a little bit sleepy, Black will sort of lean in over Banville's shoulder and start writing. Or Banville will lean over Black's shoulder and say, 'Oh that's an interesting sentence, let's play with that.' I can see sometimes, revising the work, the points at which one crept in or the two sides seeped into each other." A three-part TV drama series based on the novels was adapted for the BBC, with Gabriel Byrne in the title role and scripts by Andrew Davies and Conor McPherson. It was broadcast by RTÉ and the BBC in spring 2014. He has also published The Black-Eyed Blonde (2014), a "Phillip Marlowe" novel, under the Benjamin Black brand. Banville worked in journalism from 1969, and was Literary Editor at The Irish Times from 1988 to 1999. The Book of Evidence (1989) - arguably a crime novel - was shortlisted for the Booker Prize and won the Guinness Peat Aviation award. His fourteenth novel, The Sea, won the Booker in 2005. He continues to live and work in Dublin. 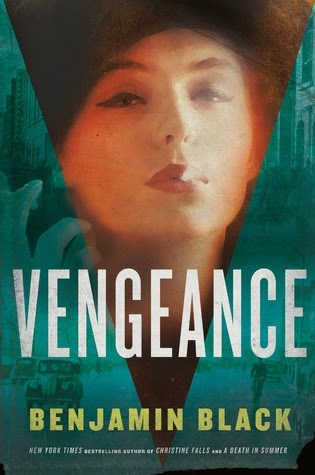 His brother Vincent Banville is also a crime fiction writer.